Landscaping stones can be used to solve a number of challenges on a slope. You can build tiered retaining walls, lay a walkway to ease the severity of the incline, or create edging to prevent erosion around flower beds. Laying stones securely on a slope doesn't require extensive landscaping experience or skills. It does help to have a plan and patience to lay the stones just right. Stone walkways make it easier to get up and down a slope. Walk the slope and decide what purpose the landscaping stone will serve. If the slope is not too steep, consider laying stones to create a rustic walkway up the slope. If you plan to edge a garden, note if the area has any drainage issues. Use flour or wooden stakes and string to outline where you plan to lay stones. Adjust the outline's shape to fit with other landscaping elements on your slope. When laying a path, consider how many people may use the path at a time. For instance, two people can pass easily on a 48-inch wide path, while 30-to-36 inches should suffice for a secondary path. Use a hoe to clear grass and other growth from the outlined area. If you're laying a walkway, dig a trench as deep as the stones, plus 2 inches. If you're edging a garden, the trench should be deep enough to bury one-fourth of the stones in the ground so the garden will be raised high enough for water to run off and to stabilize the stones. 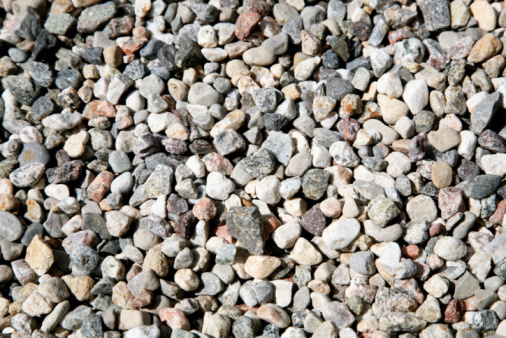 Spread a 2-inch layer of sand or pea gravel over the trench with a trowel. Set the first stone at the bottom of the trench and tap it with a hammer or rubber mallet. The stone should sit even with the grass or slightly above if you're laying a walkway. Add or take sand away to adjust the height of the stone. Lay small sections of stones at a time. 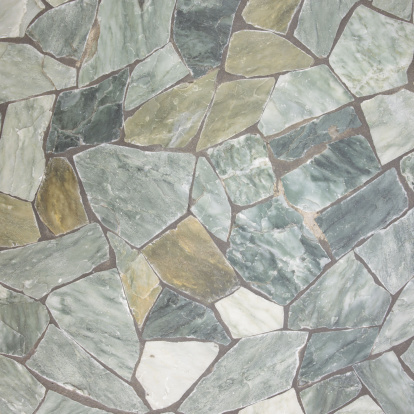 Choose stones of similar sizes and shapes for a uniform look or fit small and large stones near each other like a puzzle. 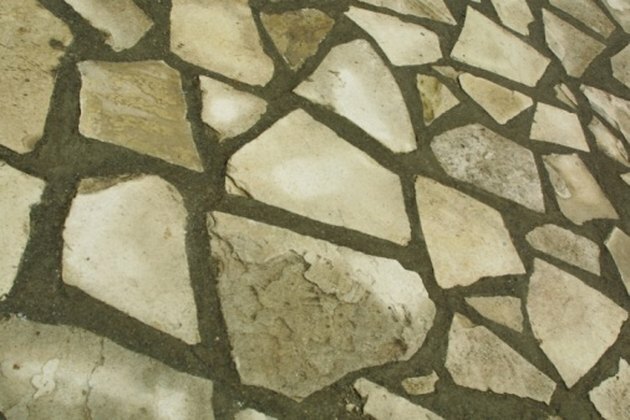 Leave about one-fourth inch of space between the stones; for a walkway, use a carpenter's level to check that the stones are even so people won't trip. Lay stones from the beginning to the end of the trench. Pour sand over the stones and brush it into the one-fourth-inch crevices. Sand will keep the stones from shifting and prevent weeds from growing between the stones. Brush off the excess sand and pour water over the walkway or edging. The sand will cling to the stones like concrete when it dries.